The holiday season has arrived! That means shopping, decorating, and stoking the fire. With all the fun that surrounds the most wonderful time of year, there are some serious dangers. Window Genie wants to wish you a happy holiday with a few safety reminders. Even though online shopping is becoming more and more popular, we all still make trips to the mall, department, and grocery stores. Jostling through the crowd while carrying your jacket, juggling tons of bags and keeping your child from breaking anything makes you an attractive target to criminals looking to grab wallets, purses, and your presents. Park in a well-lit space, and be sure to lock the car, close the windows, and hide shopping bags and gifts in the trunk. Don’t overburden yourself with packages. Be extra careful with purses and wallets. Beware of strangers approaching you for any reason. Make sure a loved one knows where you are going and when you are planning on being home. One thing is for sure during the holiday season: you will use a lot of electricity. Decorations, cooking, kitchen appliances, and electronics are constantly zapping power from your home. Staying safe around electricity will keep the holidays bright for you, your family and friends. As you “deck the halls” and make other preparations, please pause to review our electrical safety tips and take care to avoid potential hazards. Before decorating, determine how many outlets are available and where they are located. Plan your displays accordingly. Avoid overloading outlets and only plug one high-wattage appliance into each outlet. Repair all cracked or damaged sockets. Match power needs of electrical products with an amperage rating of extension cords. Keep all extension cords and light strings clear of snow and standing water. Use wooden or fiberglass ladders when decorating outdoors. Metal ladders conduct electricity. Nothing screams holidays like a beautiful Christmas tree and a warm fire. 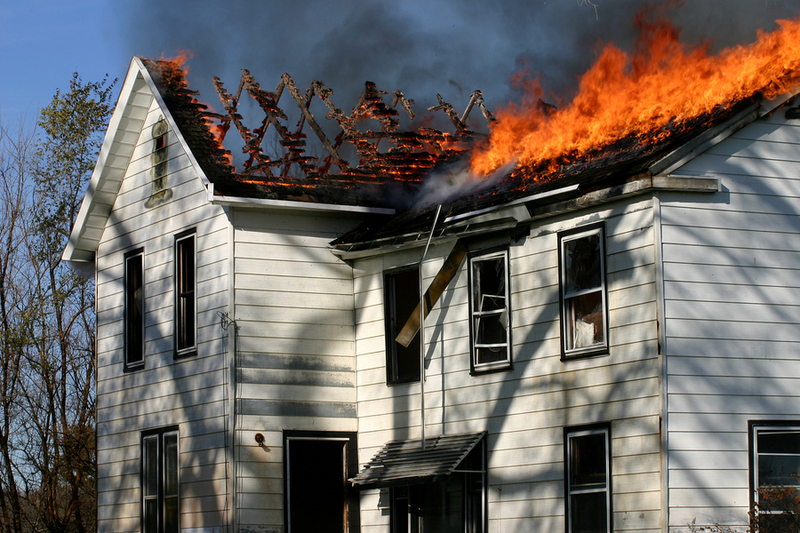 But every year fires occurring during the holiday season claim the lives of over 400 Americans, injure 1,650 more, and cause over $990 million in damage. In fact, the top three days for fires are Christmas Eve, Christmas Day and New Year’s Day. Most of this is avoidable by taking some easy precautions. Always make sure your Christmas tree has plenty of water. Do not burn wrapping papers in the fireplace. Again, don’t overload outlets or electrical cords. When purchasing an artificial tree, look for the label “Fire Resistant”. Do not remove fireplace embers or ash. Have working smoke alarms installed on every level of your home, test them monthly and keep them clean and equipped with fresh batteries at all times. With all the hustle and bustle of the season, our pet family can be forgotten. It’s a very dangerous time of year for our furry friends. As you gear up for the holidays, it is important to try to keep your pet’s eating and exercise habits as close to their normal routine as possible. Also, please be sure to steer pets clear of the following unhealthy treats, toxic plants, and dangerous decorations. Plants like Poinsettias, Mistletoe, Holly and Lilies can be harmful to pets, so prevent pets from ingesting. Never leave a pet alone with a lit candle to prevent a fire in your home. Too much fatty, rich, or even just new types of food can give your pet diarrhea, vomiting, pancreatitis or gastroenteritis. A falling Christmas tree can seriously injure your cat or dog, so if you have a mischief-maker or tree-climber, stabilize the tree with additional hardware. Keep wires, batteries and glass or plastic ornaments out of paws’ reach. If your celebration includes adult holiday beverages, be sure to place your unattended alcoholic drinks where pets cannot get to them. Tinsel can add a nice sparkling touch to the tree, but make sure you hang it up out of your pet’s reach. Ingesting the tinsel can potentially block their intestines. One of the more popular methods of cooking a turkey is using a fryer. It’s extremely delicious, but can also be very dangerous. Anytime you are cooking with oil and an open flame you must follow a set of precautions. Set up the fryer more than 10 feet from the house or garage. Make sure you keep children away. Find flat ground; the oil must be even and steady to ensure safety. Use a thawed and dry turkey; any water will cause the oil to bubble furiously and spill over. Be careful handling the fryer lid and handle. It can become very hot and cause burns. It’s not only the holiday season, it’s also germ season! Please wash your hands with soap and clean running water, and rub them together for at least 20 seconds. Cover your mouth and nose with a tissue when you cough or sneeze. If you don’t have tissue, cough or sneeze into your upper sleeve or elbow, not your hands. Don’t forget to get your flu shot and watch out for ice patches. 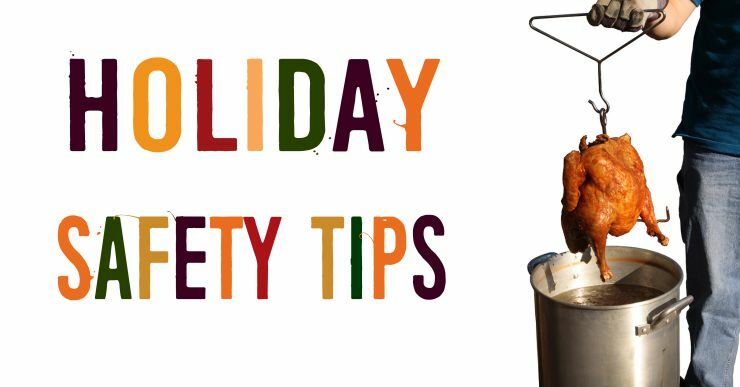 We hope that these tips and tricks can help you and your family have a safe holiday season. Previous Previous post: Traditional Tales: Why Do We Kiss Under the Mistletoe? Next Next post: Traditional Tales: Whose Idea Was the Christmas Tree?